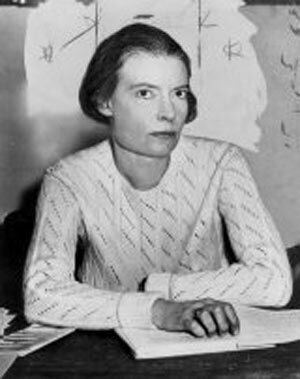 Dorothy Day (November 8, 1897 – November 29, 1980) was an American journalist, social activist, anarchist, and devout Catholic convert. Day became most famous for founding, with Peter Maurin, the Catholic Worker movement, a nonviolent, pacifist, Christian anarchist movement which combines direct aid for the poor and homeless with nonviolent direct action on their behalf. She is being considered for sainthood by the Catholic Church. The Catholic Worker movement started with the Catholic Worker newspaper, created to promote Catholic social teaching and stake out a neutral, pacifist position in the war-torn 1930s. This grew into a "house of hospitality" in the slums of New York City and then a series of farms for people to live together communally. The movement quickly spread to other cities in the United States, and to Canada and the United Kingdom; more than 30 independent but affiliated CW communities had been founded by 1941. Well over 100 communities exist today, including several in Australia, the United Kingdom, Canada, Germany, The Netherlands, the Republic of Ireland, Mexico, New Zealand, and Sweden. By the 1960s Day was embraced by Catholics. Yet, although Day had written passionately about women’s rights, free love and birth control in the 1910s, she opposed the sexual revolution of the sixties, saying she had seen the ill-effects of a similar sexual revolution in the 1920s. Day had a progressive attitude toward social and economic rights, alloyed with a very orthodox and traditional sense of Catholic morality and piety. She was also a member of the Industrial Workers of the World ('Wobblies'). In 1971 Day was awarded the Pacem in Terris Award. It was named after a 1963 encyclical letter by Pope John XXIII that calls upon all people of good will to secure peace among all nations. Pacem in Terris is Latin for 'Peace on Earth.' Day was accorded many other honors in her last decade, including the Laetare Medal from the University of Notre Dame, in 1972.